Our roto crates are featured with stiff unbreakable body, white colored appearance, gripped handles at both ends etc. These are widely applicable in industries and mills for storage purposes. Our firm trades these products at a competitive rate in the market. We are one the renowned manufacturers and suppliers of the premium range of roto crates, which are fabricated from high grade of plastics and polymers. 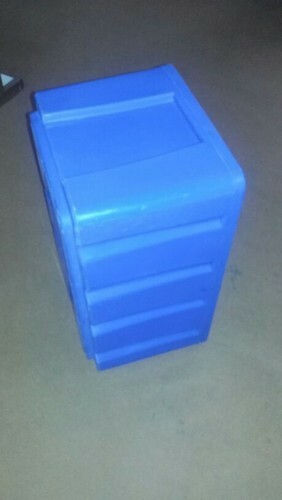 Our range of plastic crates finds its various applications in spinning, textile,cycle,auto,furnishing and many others industries. Storage of different kind of material in these crates provide an optimum solution to the saving the floor space problems. Since our inception in the year 1998, we have been manufacturing multilayer water storage tanks, material storage tanks, material storage tanks and material storage containers of unmatched quality. We procure high grade raw material like LLDPE from reliable source, which are approved by FDA. Our quality inspectors conduct regular inspection and ensure that products of international standard are packed for shipment. We have been appreciated by the clients for delivering them sturdy and durable range of multilayer water and material storage tanks/containers. The entire range of these products is available in various specifications that can further be tailor-made as per the requirement specified by the customers.